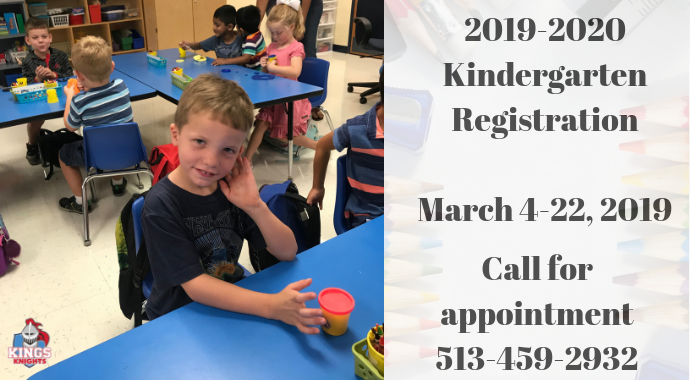 The 2019-2020 Kings Kindergarten Registration begins on March 4 and runs through March 22. Registration will take place by appointment only and should only take 15 minutes. Daytime and evening appointments are available. To be eligible for Kindergarten, your child must turn 5 years old on or before September 30, 2019.